NAPLES, Fla. () – Pure Florida’s Naples location celebrates Naples StoneCrab Festival with $25 Sightseeing Cruises Saturday, October 27 and Sunday, October 28 as well as FREE FUEL on all Jet Ski and Boat Rentals Friday, October 26 through Sunday, October 28. Pure Florida offers “SEAS” StoneCrab Festival with $25 Sightseeing Cruises aboard the M/V Double Sunshine. Discounted adult tickets are offered Saturday, October 27 and Sunday, October 28 for the 12pm, 2pm and 4pm cruises. Families and couples can explore southwest Florida on a Pure Florida signature sightseeing cruise at the discounted rate of $25 per person. 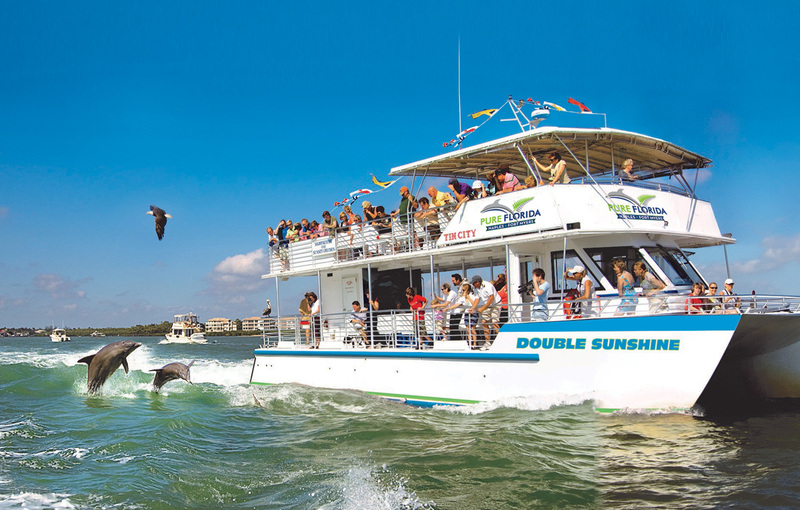 This 90-minute cruise departs from Tin City in downtown Naples and heads out to the Gulf of Mexico through Gordon’s Pass to tour past Keewaydin Island and Port Royal homes with hopes of catching a glimpses of the wildlife that calls southwest Florida home. Child tickets (5 – 12 years old) are $19.50. Take advantage of FREE FUEL on all Jet Ski and Boat Rentals during StoneCrab Festival with Pure Florida Friday, October 26 through Sunday, October 28. Indulge in the freedom of the open seas by renting a Jet Ski or a Hurricane Deck Boat. Guests can see wildlife in their natural surroundings and enjoy a picnic or shelling with a stop on Keewaydin Island. Pure Florida Jet Skis can be rented hourly. Pure Florida Boat Rentals available through half-day, ¾ day and full-day rentals. Guests can book online at www.purefl.com or by calling the Pure Florida Reservation Team at (239) 263.4949. Learn more about StoneCrab Festival by visiting www.stonecrabfestival.com.